Spotify has undergone a major redesign, partnering with the BBC, Vice and other major media brands to add video and spoken content for the first time. The company has sealed a number of deals for its launch content as well as commissioning original video from the likes of Tyler the Creator and comedian Amy Poehler. Video channels will include TED talks, Top Gear, Vice News, Jimmy Kimmel Live and ESPN, among others. 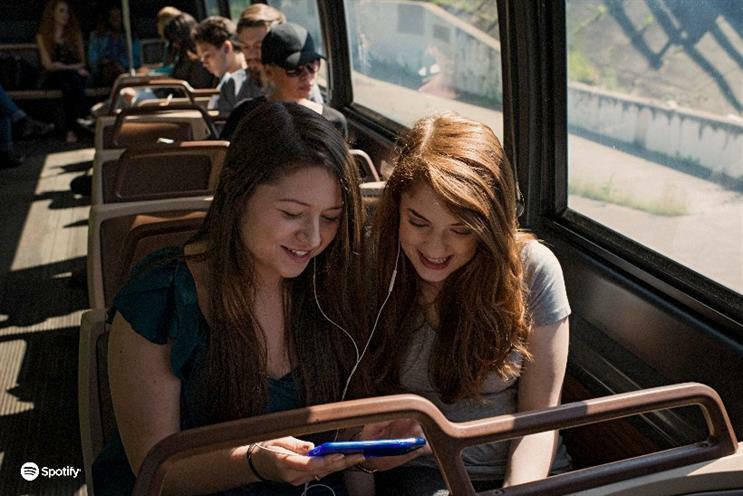 Spotify users can also listen to podcasts without leaving the app, such as Radiolab, Freakanomics Radio and the Nerdist. Along with video, Spotify has also launched new features specifically targeted at runners (and sports brands), and extended its existing partnership with Nike. It appears the new redesign centres on a "lean back" experience, where the listener relies on Spotify to surface relevant video clips and music, rather than actively wading through millions of tracks. The idea is also to keep users on Spotify for longer, rather than moving to rival apps like YouTube. 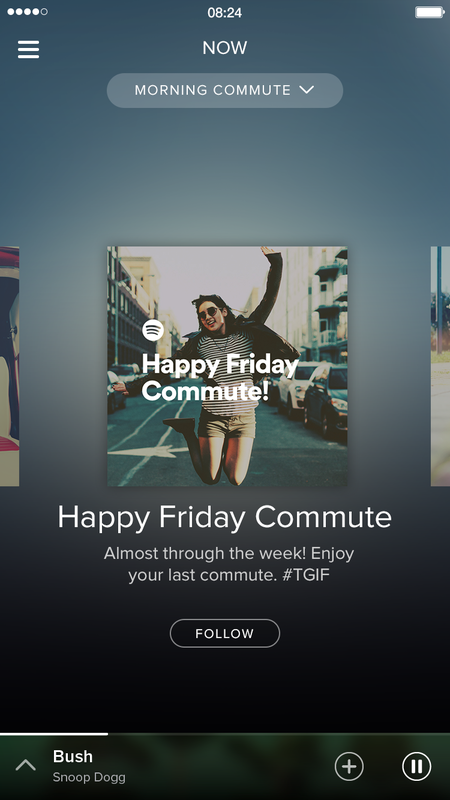 The new Spotify features a new Now launch page, which offers playlists themed to the time of day and what the listener is up to, such as "morning commute". For marketers, that will mean being able to target users based on what they are up to. CEO Daniel Ek said: "The new Spotify is not just great for users. One of the great things about innovating experiences with music is the increased opportunities for our marketing partners, with more relevant and more targeted ads, and ability for us to work with the best in-class partners." Spotify has also extended its existing partnership with Nike, integrating a number of new features specifically targeted at runners into the Nike+ app. 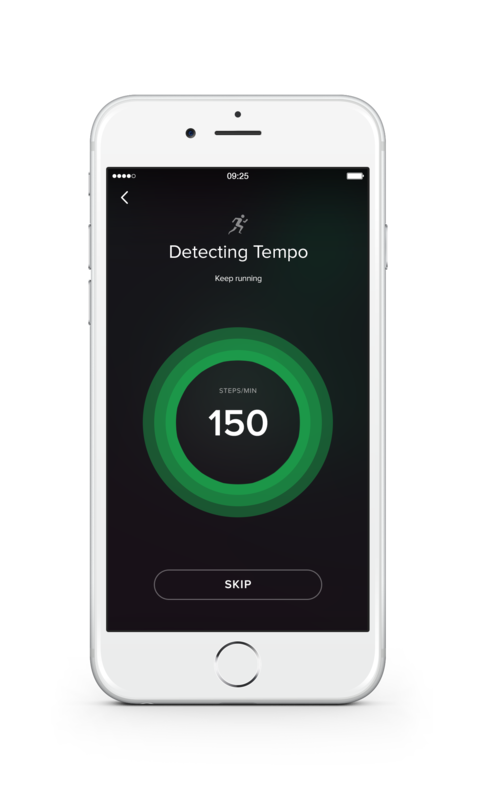 The streaming app can now detect a runner’s pace and suggest music that matches the tempo, based on previous listening history. Spotify Running will integrate with Nike+ and the RunKeeper app later this year. It already has an existing partnership with Adidas for the Adidas Go app. The new features are available to all Spotify users and will initially roll out in the UK, US, Germany and Sweden over the next few weeks. Speaking to Marketing, EMEA chief Jonathan Forster said the new video content would open up ad opportunities for Spotify. The company already offers opt-in video ads – but without video content to match, this had been a "jump" for users. He said: "In terms of us having video programming on Spotify, it will create more inventory and we are very much open for business. He added: "We do a few things to make sure the user is actually looking at Spotify while we are serving ads – they need to opt in, or hit play. Without video content, conceptually we were asking people to make a bit of a jump." The news comes shortly after Spotify announced a partnership with Starbucks, integrating its music service into the coffee chain’s loyalty app. Richard Cohen, CEO of Spotify video partner LoveLive, told Marketing: "Adding more personalised elements, such as activity-based playlists, will allow Spotify to serve more targeted and relevant advertising, reaching the right consumers at the right time. "While it's not yet clear what individual brand partnerships will look like on the new look service, a more native approach could be taken such as the creation of branded video formats or branded playlists."